In any competition one Sticks to the limit of the topic.Just have an animal attacking audrey..such as Fernando Gilgado gomez shark swallowing human which is in his Bicolour book . Also we have few animals being fed or petted..Which the lord has witnessed. The Osprey [Pandion haliaetus]is one of the largest fishing hawks in North America, and is sufficiently different in profile to the bald eagle to warrant a model of it's own. Though I have read it looks similar to a sea eagle. (As an aside, it is also a magnificent looking bird.) I have never discovered an Osprey model. If anyone knows of one, I would love to see the completed model. I won't hold out hope for the instructions, of course. "Let Us All Work For Crease In Our Time." With apologies for paraphrasing words from comments made by British Prime Minister Neville Chamberlain in September, 1938. CharlesWallace wrote: The Osprey [Pandion haliaetus]is one of the largest fishing hawks in North America, and is sufficiently different in profile to the bald eagle to warrant a model of it's own. Though I have read it looks similar to a sea eagle. (As an aside, it is also a magnificent looking bird.) I have never discovered an Osprey model. There is one. Really good one too by (who else?) Quentin Trollip. Just google. Nice too my topic revived after so much time. I do not even visit the forum anymore but I still got a notification for this. I have done several designs of animals that haven't been done yet, but they are of extinct creatures. Fairyflies are around today and I think they are very interesting. EDIT: As for other haven't-been-done animals, I think the Birds of Paradise are a great challenge. They have many different shapes and potential color changes. There's around 40 different species, yet I have only ever seen 3 separate designs of any of them. 2 from Derek McGann and 1 from Katsuta Kyohei. 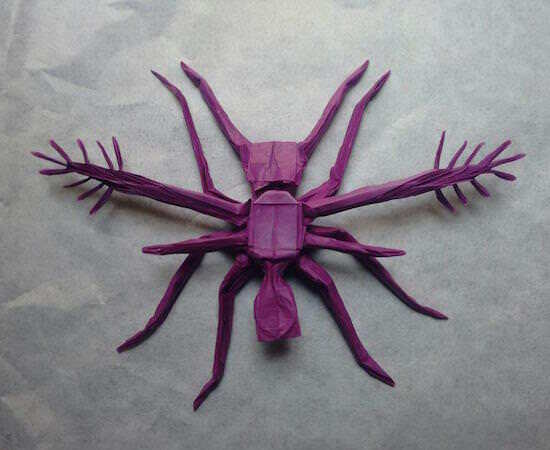 I searched for an origami green lacewing and I can't find anything, I'm probably going to try and make one. What about a nyala? It's similar to a kudu but with stripes.